When setting out to film a documentary about the Drug War in Mexico, a director probably shouldn’t expect to find many likeable characters caught up in the narco-fray. But Israeli director Shaul Schwarz somehow managed to unearth a cast of minor actors who humanize the conflict in his latest documentary, Narco Cultura, released this fall. The film garnered positive reviews at the Sundance Film Festival last week, where it was hailed as “gripping, gruesome and arresting” in the midst of the event’s lukewarm thirtieth year. 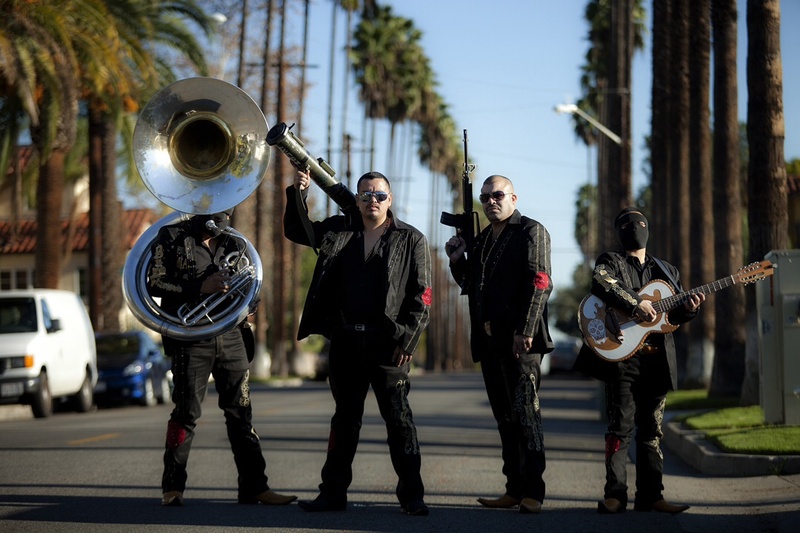 The doc explores the seedy intersection of drug trafficking, criminal justice and traditional music in the Mexican borderlands, focusing on the narcotráfico-charged days of two men: Southern California-based narcocorrido singer Edgar Quintero and Richi Soto, a soft-spoken crime-scene investigator in Ciudad Juárez. Narco Cultura is an all-around quality documentary. As thought provoking as it is entertaining, Schwarz’s film highlights the collective predicaments Mexicans currently find themselves in while delving into the nuances of which people we can really consider the bad guys. But that complexity is not what critics of the film chose to focus on. Reviews of the film are riddled with racially-charged descriptions of narcocorrido musicians as “thugs” or “hoods”, some seemingly inferring that Mexicans are inherently violent. Forget the fact that Quintero is more obnoxious court jester (singing obscenely offensive songs) than murderous drug trafficker, because in mainstream discourse, Black and Brown men are dangerous. Period. The film (and the dozens of critics who reviewed it) tries to make the point that the narco culture is what reinforces the idea of violence-as-glory in young Mexicans’ minds, of impunity as godliness. They draw parallels to hip hop and the inherent violence of gangsta rap, totally ignoring the genre’s anti-authoritarian roots. We’re perpetuating the violence by paying lip-service to these animals, they cry from their soapboxes. At its core, narco culture is a way to make a living, just one of the easier ways to earn money for a people plagued by drug violence. In case you haven’t heard, there aren’t many jobs that pay well in Mexico these days. The problem is that when poor people—and worse, poor Brown people—do something wealthy white folks do on the daily, like singing the praises of our violent cultures, it becomes unacceptable. And if Mexico is so violent, it must have something to do with the Mexicans. Right? Just look at the murder rate in Juárez! (None of the reviews I came across mention that the number has fallen from 3,622 in 2010 to 497 in 2013.) Because it’s easier to blame the violence on the people who are experiencing it than it is to acknowledge the complex web of social inequalities underlying the violence, let alone the part the US has played in fostering a climate ripe for such carnage.